Other than their biryani, Paradise has some clientele for their haleem too. 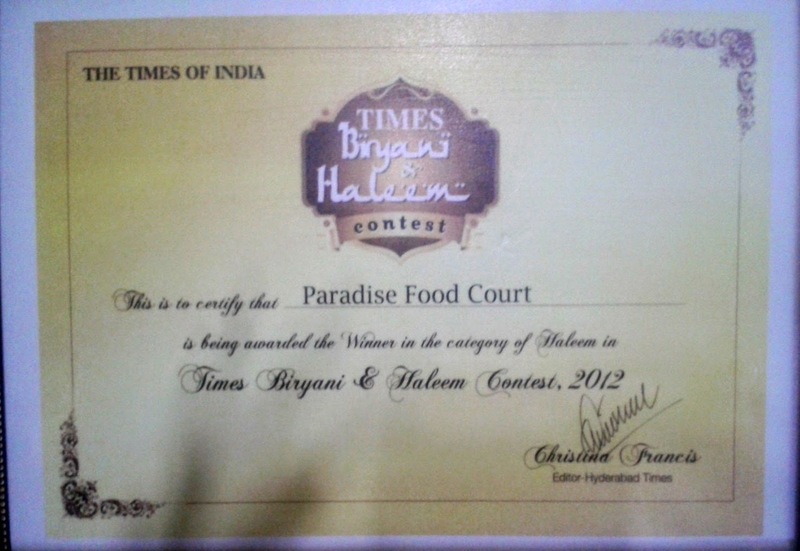 As late as 2012, they were announced as the winners in the haleem category of Times Biryani and Haleem contest. As I had gone to Paradise Circle (named after the restaurant) for some work, I could not resist trying out the haleem there. 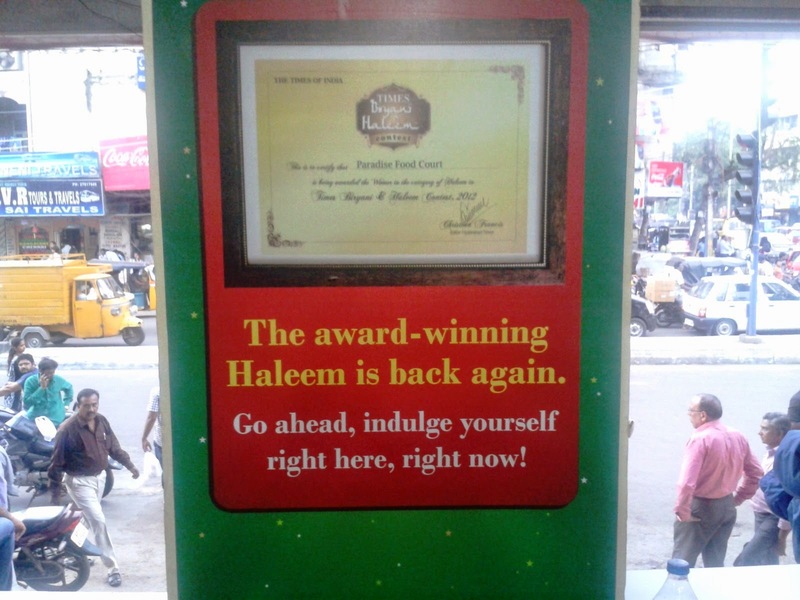 A special area (which is normally used to sell bakery products) has been earmarked for haleem. A long queue was already in place to buy the tokens. After taking the coupon you need to wait for a short while at the delivery counter where three wait staff are feverishly doling out plates of haleem. The first thing I noticed was that the haleem served here had very little garnishing. On request, some more was added in a miserly fashion. As I dug into the haleem, the initial taste was quite good – the ghee (Sherwa) had a very nice flavor and the spices were just right. However the sad part of it was that the mutton content in the haleem was very low, as a result of which the wheat taste was overpowering. Surely with addition of a bit more meat, and more fried onions, mint and cashew on top, this haleem can become a real hit. 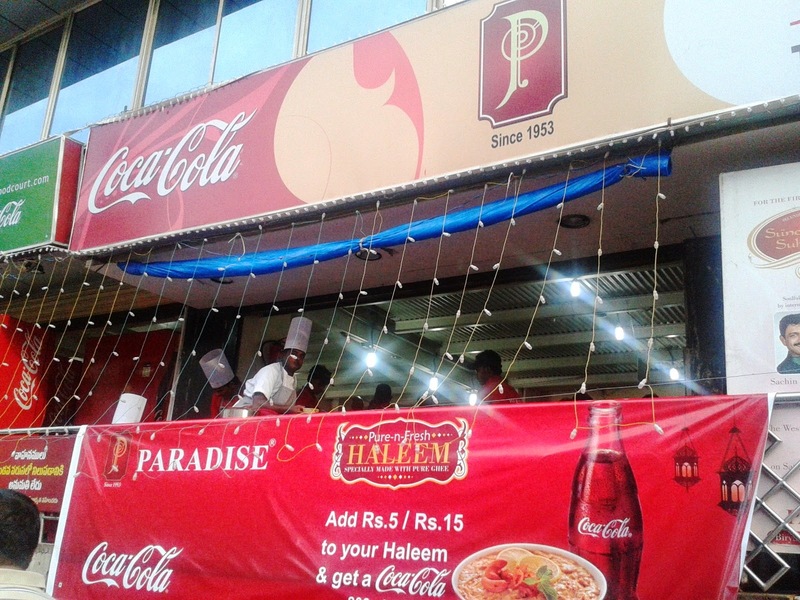 A plate of Mutton Haleem is priced at Rs 120, and for Rs 5 extra Paradise is offering a small bottle of Coke. 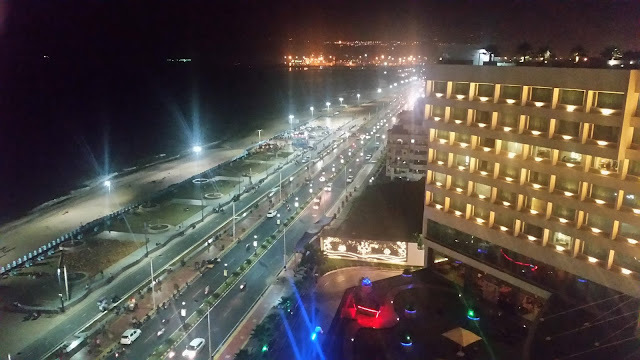 Location: Situated in Paradise Circle, Secunderabad, the restaurant is a landmark by itself. In fact directions are given to other places in Secunderabad, with Paradise as the reference point.